You have insurance for your health, your car, your home… but what about your pets? If you don’t currently have pet insurance, you’re not alone. While around 68% of U.S. households own pets, only 1% of those pets are insured, according to the North American Pet Health Insurance Association (NAPHIA). But given the price of vet care, it’s worth looking into. Petfinder estimates the annual cost of routine vet visits is $45-$200 for dogs and $50-$400 for cats depending on your pet’s age. Emergency vet visits can cost up to $2,000, and sometimes more, for dogs or cats. And as someone who’s found herself at the animal hospital at 3 a.m., I can attest that when your beloved furbaby is pawing at you in distress and you don’t know what’s wrong, you’re willing to shell out pretty much anything to make her better again. That’s why we’ve put together this breakdown to help you decide: Is pet insurance worth it for you and your pets? Trixy, the dog, waits to be examined at BluePearl Veterinary Partners in Tampa, Fla.
Like human health insurance, pet insurance helps alleviate some of the costs of keeping your pet healthy. You can choose from different levels of coverage, with each plan costing a monthly or annual premium based on how much coverage you choose. Some plans cover basic scenarios like accidents and injuries, some only cover accidents, and others include accidents, injuries and genetic/hereditary conditions. The more comprehensive the coverage, the higher you can expect the cost to be. While human health insurance works on a copay basis (you pay a certain percentage when you see the doctor and the insurance covers the rest), pet insurance is largely a matter of reimbursement. You pay the full amount due when you take your pet in for care, then submit a claim to the insurance company afterwards. Depending on your policy, they’ll pay you back anywhere from 20-100% of covered costs. Pet Insurance Review has a handy chart comparing the major companies’ policies side by side. Bear in mind you’ll still need to contact each company for a personalized quote, as your rates will be calculated based on your pet’s age and breed, as well as your location (vet costs are higher in some areas than others). While individual costs will vary based on your pet’s breed, age, health and the tier you opt for, the average cost of pet insurance for dogs is around $22 per month, while pet insurance for cats costs around $16 per month, according to Consumer Reports. Have an exotic pet (i.e. anything other than a dog or cat)? Your options are a bit more limited, but you can still find coverage. Check out Pet Assure and Nationwide for plans for birds, rabbits, reptiles and other members of the animal kingdom. It’s easy to compare your options. Unlike human insurance, which can be a labyrinth of plans and riders you need a pro to help decode, pet insurance is relatively straightforward. Policies are simple, tiers are easy to compare, and you can get a no-commitment quote from different companies within minutes, making price shopping a breeze. Premiums can be low. If your pet is young or healthy, or you choose a lower tier, you can get coverage for less than the cost of a meal out each month. It’s not a huge price to pay for the security of knowing your pet can get the help it needs. Deductibles are reasonable. Compared to the cost of one late-night animal ER visit, most plans’ deductibles are affordable. If, heaven forbid, your pet is seriously injured or ill, you could wind up paying at least the cost of the deductible anyway — but with insurance, you can get your pet the extra care you may not have been able to afford on your own. You get to choose your vet. There are no “out of network” provider headaches when it comes to pet insurance. As long as your vet is licensed, eligible expenses should be covered and there’s no need to worry if your vet “accepts” your plan. Since you pay for the cost out of pocket and then submit a claim to the company for reimbursement, all you need from your vet is a copy of their invoice and for them to fill out a section of the claim form. You can do more for your pet. The NAPHIA reports owners with pet insurance are more likely to seek medical care for their pets than those without. No one wants to have to choose between a sick pet and a mountain of debt. 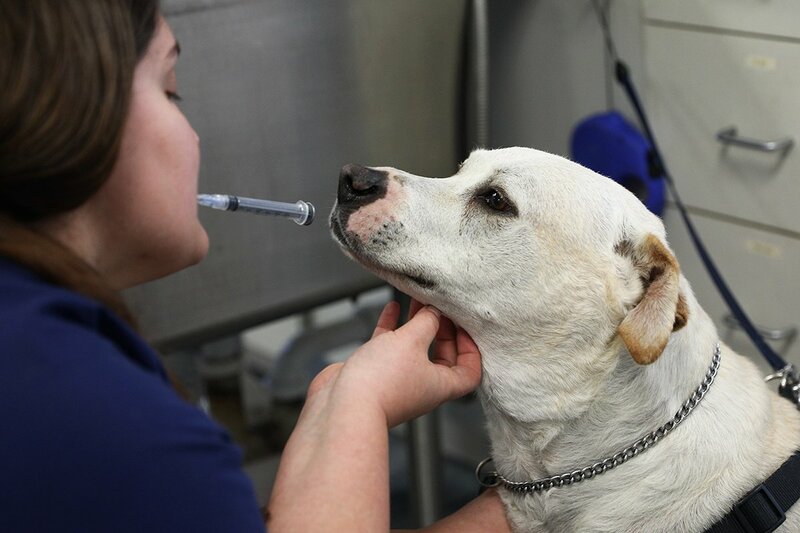 Too many pet owners, faced with a catastrophic medical crisis they hadn’t prepared for, are forced to make the heartbreaking decision to elect for “economic euthanasia,” USA Today reports. If you invest in pet insurance, you could save yourself — and your pet — from ever facing such a decision. Premiums can be high. If your pet is older, has a pre-existing condition or you choose a high tier, you could be looking at premiums of $50 or more per month. You’ll want to carefully weigh whether the annual cost makes sense for you. You still have to pay for procedures up front. Having pet insurance won’t save you from having to shell out big bucks if your pet needs a costly procedure. Whether you have coverage or not, it’s wise to have a separate savings fund for vet emergencies to ensure you can handle upfront charges until your claims are processed. It doesn’t cover everything. On average, pet owners with insurance still pay around 20%of their pets’ medical expenses, according to a report by The New York Times. Routine wellness checkups usually aren’t covered, so you’ll still pay for those out of pocket. Certain hereditary/genetic conditions may also not be covered; be sure to check each policy’s specifics carefully. The coverage has limitations. Many plans also limit the amount you can claim, either annually or over your pet’s lifetime. If your pet is unfortunate enough to suffer a major medical problem, you could max out your plan’s limit pretty quickly and find yourself paying the difference. If your pet only needs routine vet care, you won’t save much. If they insure their pets, owners spend an average of $324 out of pocket on a dog and $264 out of pocket on a cat, according to the NAPHIA, compared to $251 for an uninsured dog and $146 for an uninsured cat.This is largely because, unsurprisingly, owners with pet insurance take their animals to the vet more often than those who don’t have insurance. And these numbers don’t include the annual price of pet insurance premiums. With an average cost of $22 a month for dogs and $16 a month for cats, insuring your pet could mean your total costs hit $588 for a dog or $456 for a cat. If your pet is fortunate enough to avoid any big issues, the cost of insurance could outweigh the savings. So, is pet insurance worth it? Like property insurance (car, home, etc. ), you won’t necessarily “save” or “make” money in an average scenario, but in the event of a catastrophe, you may find it’s worth the investment. Unlike human insurance, pet insurance is more about peace of mind and being prepared for a potential emergency than guaranteed savings. While you may not get the most bang for your buck with a relatively healthy pet, there’s no way to predict what illnesses or injuries might occur, and for many pet owners, knowing they have a safety net in place is value enough. If you do decide to get pet insurance, enroll your pet when they’re young for maximum savings. Talk to your vet to get an idea of your pet’s potential breed-specific health problems, and ask them which insurance they’d recommend. If you decide to choose catastrophic coverage (generally the best cost-to-savings option), spring for the highest deductible you can afford. Whether or not you opt for pet insurance, start an emergency fund now for vet care to make sure you can handle unexpected out-of-pocket costs. When Fluffy is in distress in the wee hours of the morning, money is the last thing you want to worry about. Have your pet seen by a vet if you haven’t done so within the past year. Most policies have waiting periods, which means you can’t get coverage immediately following an accident or illness. (This ensures people don’t sign up for coverage only when they know they need to cover a big bill.) So if you think you’d be interested in pet insurance, apply now before you end up needing it. Check out Pet Insurance Review’s chart of the major pet insurance companiesto get started. Your Turn: Do you have pet insurance? Would you say it’s “worth it” or not? Share your thoughts in the comments!